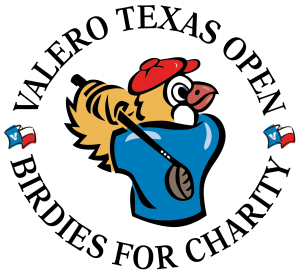 Birdies for Charities is a student fundraiser and 12 Days of Giving is a band fundraiser that is associated with the Valero Texas Open. We run both of these fundraisers together in December 1st through 12th. We run the Birdies for Charities fundraiser again in the early spring just before the Valero Texas Open. Click HERE to view a video about fundraising with Birdies for Charity. Birdies for Charities (Student Fundraiser) donates 100% to student charms account when a student is referred and Valero matches 7% of these donations for the band. Think of this as a fundraiser to pre-pay band fees. If you choose, you can pay with a credit card that offers rewards and get the credit card rewards. If you itemize, you can use this fundraiser for a tax deduction. Friends and family are eligible to participate even if they don’t live in San Antonio. If you list the student’s name in the REFERRED BY or REFERENCE field, they will receive the money for their Charms account. Otherwise, the money will go directly to the band. This is a perfect fundraiser for friends and family, especially those who are not local to San Antonio, to donate to that has a direct impact for both the student and the band. Donations over $1000 automatically earn 4 good any day tickets to the Valero Texas Open. 12 Days of Giving (Band Fundraiser) is the ticket sales portion for the Valero Texas Open. This fundraiser runs from December 1-12. The band earns $10 for every ticket sold. Through 2028, the Valero Texas Open will be run the week before The Master’s Tournament, the Super Bowl of golf, and will have some big names playing it in. These are perfect stocking stuffer gifts for those in your life who love golf! If you have made a donation to Birdies for Charity and attend the Valero Texas Open, check into the Birdies for Charities booth near the 17th hole and the band could win $20,000. The donor whose name is drawn for this bonus will also receive a two year lease on a car.